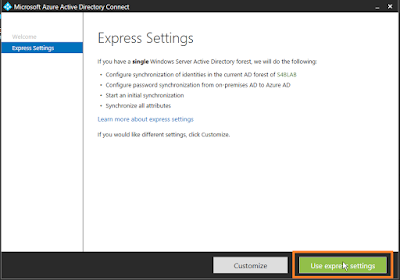 This first post is going to focus on connecting an Office 365 environment with an On-Prem environment using the Express Installation. Before we dive straight in, let's take a second to talk about what our environment actually looks like. 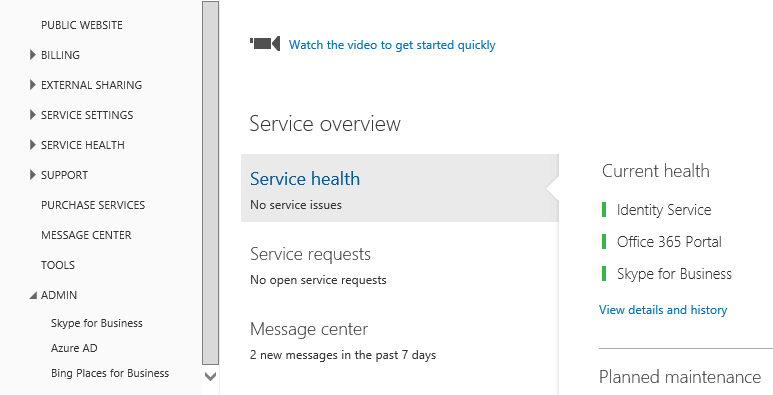 Rather than using a full-blown Office 365 suite, I am working with only Skype for Business Plan 2 licensing. 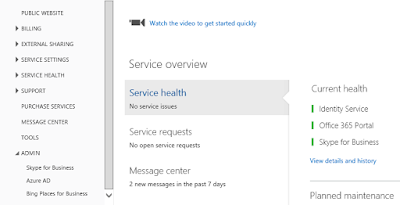 To start with, I have a single admin user: admin@skype4businesslab.onmicrosoft.com. I have also added a test domain in called "s4blab.org", and setup all necessary DNS records through the Domain Add wizard within the Office 365 portal. Awesome! We will be expanding that a bit for ADFS in the other posts later in this series. So, let's get started with how to set this up! 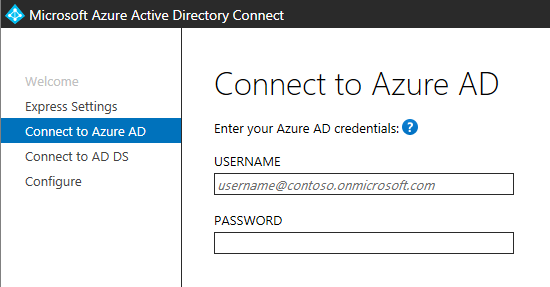 Once you have set up your profile for accessing Azure AD, you will see the below screen. 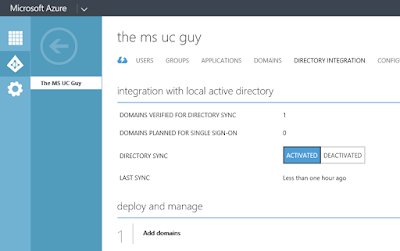 As you can see, with Active Directory highlighted on the left, we can see that we have one directory currently setup, named "The MS UC Guy". This is the directory that was created with our Skype for Business Plan 2 subscription. 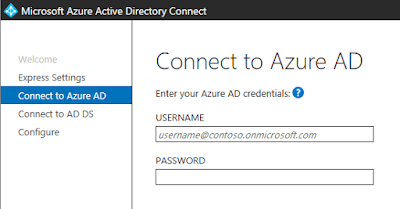 Click on the name of your existing Azure Active Directory, Once you do this, you will see where you can manage your Users, Groups, Applications, Domains, Licenses, Reports, and Directory Integration! 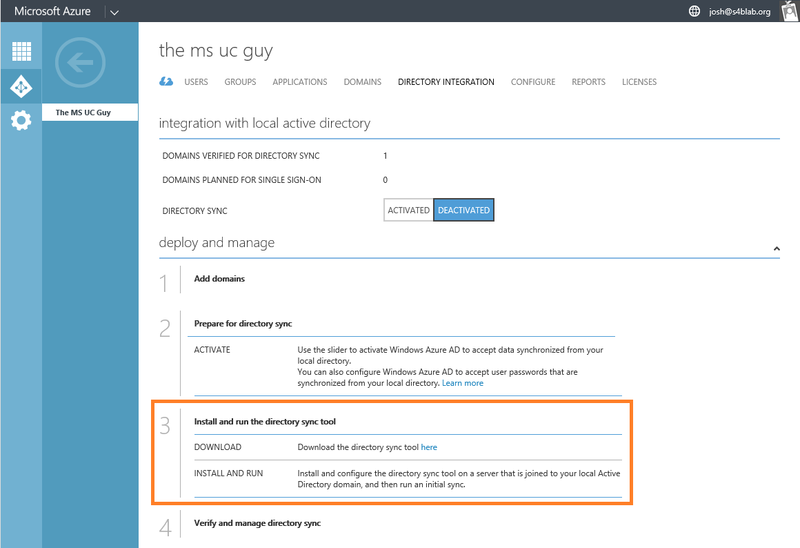 Click on Directory Integration, and you will see that Directory Sync is currently Deactivated, but that there are a series of steps to complete. First, since we have already added our "s4blab.org" domain, we go to Step 2, where we see we need to toggle the setting to "Activated". 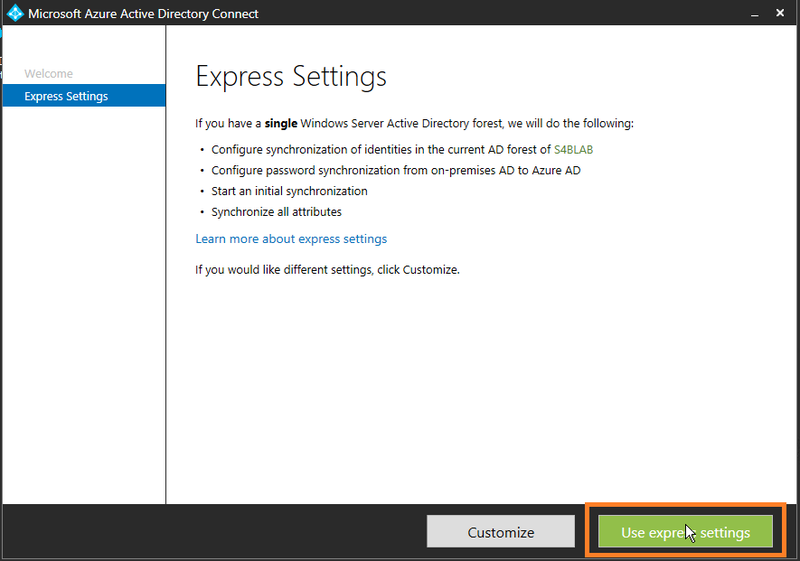 After clicking on "Use express settings", you will briefly see the wizard install other required components before bringing you to the Connect to Azure AD screen. At this screen, you need to input credentials with Global Admin access to your Office 365 subscription. I would advise using credentials that are setup as such: admin@yourdomain.onmicrosoft.com, I tried using credentials from the domain that I was about to sync (@yourdomain.com), and I received an error about the account being in the same forest. The next screen is where you input your Domain Admin credentials for your On-Prem Active Directory environment. 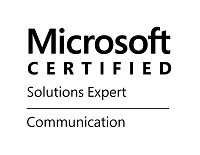 These creds will obviously be from the domain that you are attempting to sync to Office 365. 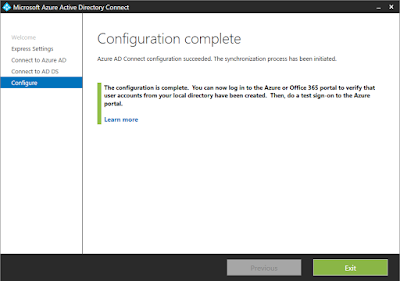 Lastly, the wizard reports that configuration is complete, and it instructs you to log into Azure AD to check on the status of the synchronized accounts. You can now click Exit. 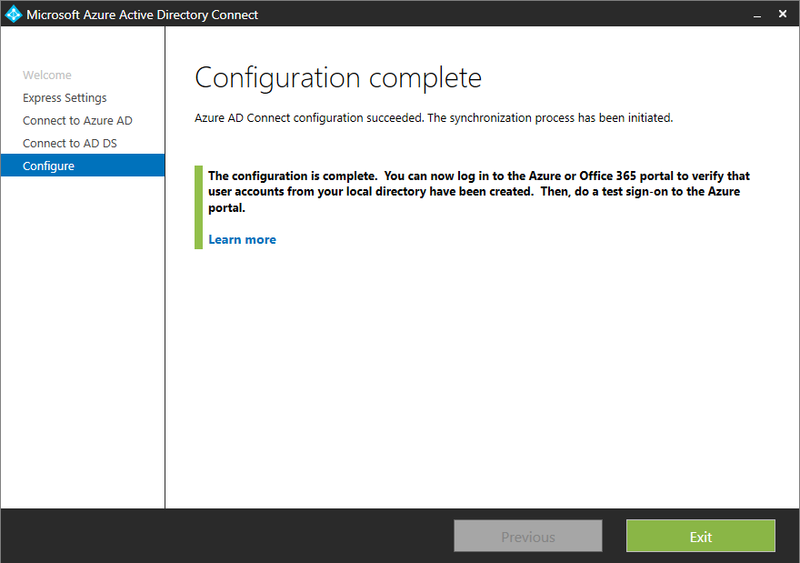 At this stage, the Azure AD Connect wizard is complete, all required components have been installed on-prem, and we should now be able to go into Office 365 to check on the status of our Synced accounts. 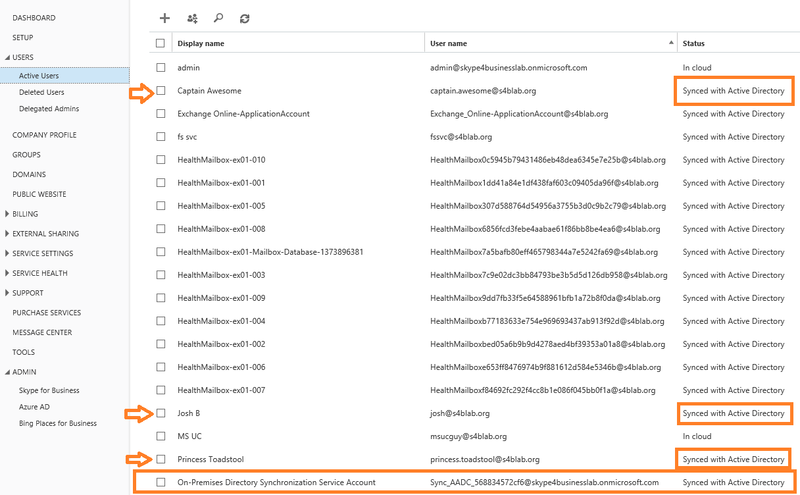 Below, while in USERS -> Active Users within the Office 365 portal, you can see a few users that I created in my On-Prem environment (marked by the orange arrows). These users also have a Status of Synced with Active Directory. Respectively, we have Captain Awesome (captain.awesome@s4blab.org), Josh B (josh@s4blab.org), and Princess Toadstool (princess.toadstool@s4blab.org). You will also notice a good handful of Exchange-related accounts that were synced, and finally the "On-Premises Directory Synchronization Service Account" that was created by this process. Also, if we go to our Azure AD portal, we can now see that our last sync was less than an hour ago, that Synchronization is Activated, and that we are good to go. It is important to note, at this point, that while we have synced our AD, we have NOT enabled Single Sign-On (SSO). 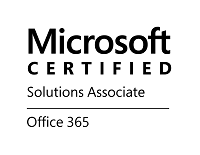 We have simply made it so that our usernames and passwords that lived on-prem are now synced to Office 365. Those users can now be assigned Skype for Business licenses (or whatever other Office 365 licenses we might buy), and can log into a Skype for Business client using the same credentials that they log into their on-prem resources with, like an Exchange mailbox, or their desktop. 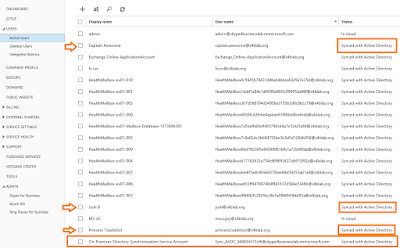 Stay tuned for further exploration of the Azure AD Connect tool, including SSO capabilities, and it's awesome new Writeback features! Hi, we are looking to deploy a combination of Exchange 2013 on premises with Office 365 EOA, do you have a guide step by step to do it? We are not sure that we need to do it, really we need to check the "Hybrid deployment" check ? Hello Pedro, and thanks for your comment! No, unfortunately I do not have a step-by-step guide myself for deploying a Hybrid Exchange environment, as Exchange is not my normal "bread and butter". 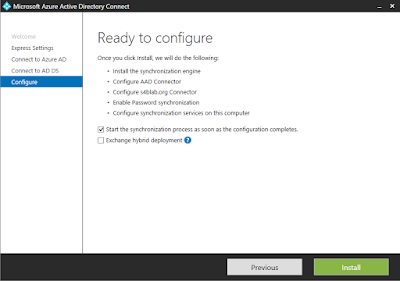 I do believe you should check that box, though, if you are setting up Hybrid Exchange. 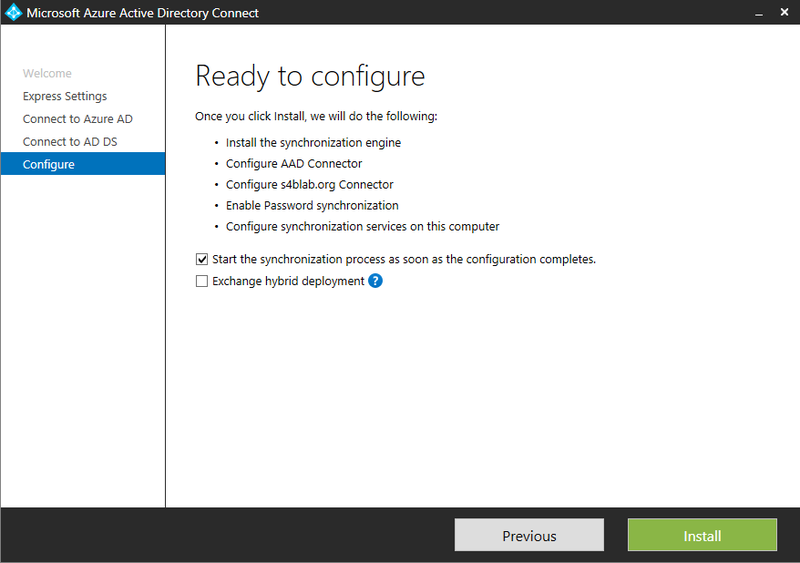 This article might be a good place to start: http://blogs.technet.com/b/shahnawaz/archive/2015/06/24/one-stop-for-hybrid-deployment-with-office-365.aspx.